Doesn‘t give me the panda look even after a loooong day at work. Hard to apply on lower lashes because they just get too much mascara due to the brushes size. This is my all time favourite mascara. I have been using it for 6 months now – and yes I know, you are supposed to not use your make-up for too long due to bacteria etcetc, but I‘m soo impressed that it hasn‘t dried out/lumped/given me panda eyes – that I‘m gone use it until there is none left. The brush is made of rubber and you get exactly the amount that you (I) need per use, and really gives some mascara love to each one of my eyelashes. My lashes are pretty long and usually when I use mascaras it usually smudges off on my eyelids and this one doesn‘t. Also after a long day I don‘t have it all over my cheeks. 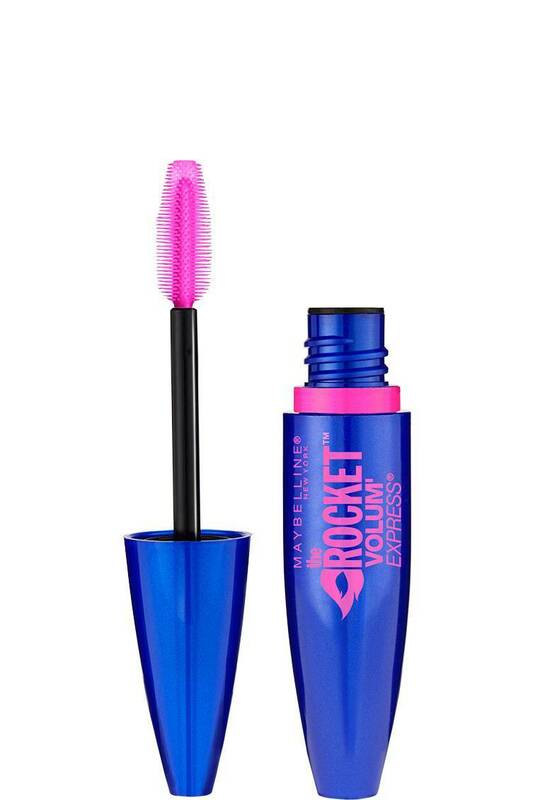 In my opinion this is the bust budget mascara out on the market right now, period. Master of the dramatic look. I‘m gone be honest I bought this one while doing my groceries because it was so cheap. Yepps people thats how I make my choices “2 liters of milk, five tomatoes and some mascara”. But actually I was pleasantly surprised, because this mascara turned out to be a master of the “dramatic look”: it makes my lashes very long, gives great volume and doesn‘t give me that panda look. It‘s also easy to remove. What are the negatives? It takes a while to dry due to its very “liquid” consistency. Also, I was very surprised by how good it was even though being soo cheap, so I would still prefer my more “expensive” regular mascaras, because let‘s face it: I‘m a make-up snob, and like the whole experience and this mascara gives a “good enough” look but does not blow me completely away, because it could be just a bit less liquidish in consistency, dry a bit faster, give a bit more volume..you get it. End of review. Doesn‘t give my lashes enough volume. I was out travelling, had forgot half of my make-up bag at home (not an excuse to buy more make-up hmm hmm promise), and since I had, had good experience with L’Oréal mascaras in the past, I thought I should give this one a shot. Verdict: the brush which is has a bent shape actually curls my lashes when I use it, it makes my lashes longer and is very easy to remove (seriously you can get wrinkles just from removing mascaras). The minuses: the consistency of the mascara is very liquid, leading to clumping of eyelashes. Another thing is that it doesn‘t give my lashes enough of volume. Basically the sum of my look when wearing it is subtle, clumped, thin long lashes also known as the spider look. Makes small lumps, which looks very unnatural. The Body Shop usually have a pretty good quality of their stuff, and since I was looking for a new mascara I thought I should give their make-up a go, which I regret now..The brush is made of rubber, which makes it easy apply the mascara even in the corners of my eyes. But when you start layering the mascara (looking for that va-va-voom effect one can not be fine with just one layer of mascara), it starts to lump my lashes and even when I use and extra brush my eyelashes, the mascara makes small lumps. Basically this is the worst mascara I have ever used, because it looks sooo unnatural. The mascara is to thick in its consistency which leads to the lumping. You may think that this can be because it‘s too old, but I bought it 2 months ago. It doesn‘t smudge though. Seriously promising that it will divide anything is a joke targeting my poor vallet. Does not add any extra volume. My lashes are nothing special, neither long nor short, so when picking a mascara I look for that “wow” factor. The add for this mascara promises both “wow”, “aahh”, “uuuuuhhh” and “oh la la”, all from just one mascara, or at least that is the impression I get when reading words such as “magnify”, “multify”, “outrageous volume” and “more seductive” – all used to describe the transformation ones lashes will go through once this magic mascara comes on. And seriously do you guys think I saw any of that? No, you are right I did not. Yes my lashes become longer, but they dont gain any volume what so ever, and just look like long spider feet. The mascara is very discreet and looks good on you, if you want it to look like you are not wearing any. But that is about all. It does not smudge and is easy to take off, but what does that help, when you barely can see that you are wearing it? Being waterproof the Beneficial “Theyre Real” mascara does not smudge as easily. Does not give my lashes a natural look. I usually buy a cheap mascara brand from the pharmacy store, so I though I would treat my lashes to something that would be more “beneficial”, so I went to Sephora and asked them for a mascara that not only volumes your lashes but benefits your lashes. So they recommended the brand Benefits ha! I though to try it, since it was really supposed to change the volume of my lashes and be healthy. I tried it and I dont really like it. It clumps my lashes together, dries them out and its hard to get off. Im constantly picking out clumps from my lashes and I think that Im getting gray lashes from it. So now Im going back to my cheap mascara, this just doesn’t give me a natural look.